What an honor! And so deserving. He's an entomologist, trained to find ways to control insect pests, but now he aims to help humans with medical issues, including diabetes, high blood pressure and depression. Bruce Hammock, distinguished professor of entomology at UC Davis, has just received the international John C. McGiff Memorial Award for his pioneering contributions to eicosanoid research. The average person on the street probably has no clue what eicosanoids are. Well, as Hammock explains: "Eicosanoids are a particular class of fats that, rather than being nutritional or structural, are regulatory. They regulate blood pressure, childbirth, pain, inflammation, tissue repair and other biologies. By mass, more than 75 percent of the world's medications work on the eicosanoid pathway. These include such familiar drugs as aspirin, Advil, Ibuprofin and Motrin." WEC is a group of scientists who have high standards of research, but freely collaborate and exchange reagents and ideas. It represents science at its best. "Never would we have made the advances we have at Davis without this friendship and collaboration of scientists from around the world,” Hammock said. This year's conference drew 150 scientists. The UC Davis distinguished professor has authored or co-authored more than 1020 peer-reviewed publications, many in top journals. This includes 500 related to epoxide hydrolase, 80 related to esterase and amidase, more than 260 related to immunoassay, and 240 related to insect biology. Hammock is a fellow of the National Academy of Inventors (NAI), which honors academic invention and encourages translations of inventions to benefit society. 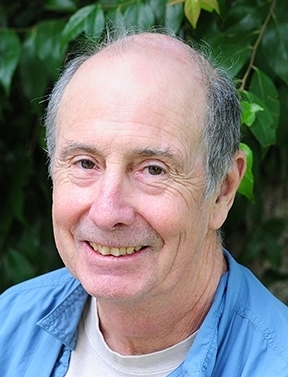 He is a member of the National Academy of Sciences (NAS) and the recipient of numerous other awards, including major teaching awards at UC Davis. And yes, he's an entomologist. He's a fellow of the Entomological Society of America (ESA) and recipient of the ESA's Recognition Award for Insect Physiology, Biochemistry and Toxicology. Bruce Hammock: from six-legged insect pests to two-legged Homo sapiens. 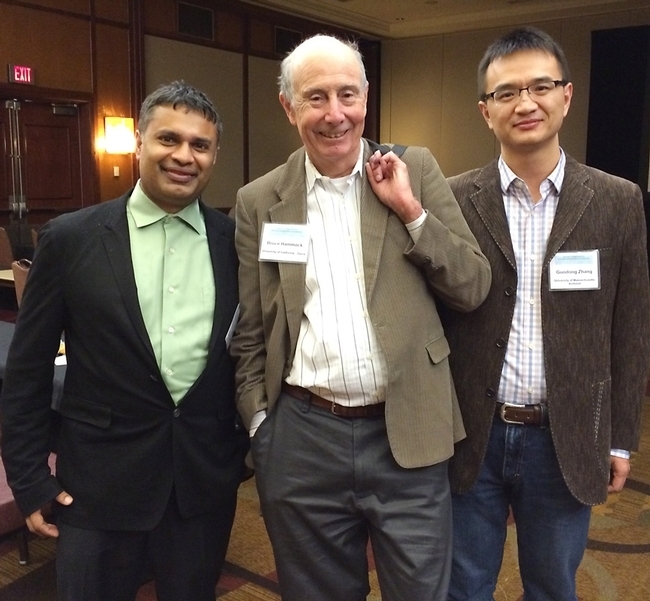 Bruce Hammock (center) with colleagues Dipak Panigrahy (left) of Harvard Medical School and Guodong Zhang of the University of Massachusetts. This photo was taken at the International Winder Eicosanoid (WEC) Conference in Baltimore, where Hammock received the first-ever John C. McGiff Award.